Adding Recent Comments Widget no Avatar for Blogger Blog is easy. This article will teach how to do it on your blog the easy way. This Recent Comments Widgets automatically shows a snippet of the last comments along with the title of the post to where the comment was made. This widget is an encouragement to the readers of the blog that their comments are valued. The appearance of comments on sidebar will indicate who among your commentators are the most active. Mostly, this widget is put on a space in the blog that is visible to many. There are commentators who love seeing their names on this widget to verify that their comments are approved. We have to know that in most blogs, there is a verification of comments that it takes some time for a comment to appear in a certain article. On the side of an SEO, he can make use of this to track if his comment is already approved. Comments are important part of the article since these add spice to the topic. If the topic is interesting, you will notice an increase in the number of comments. You should know for a fact that your comments are highly appreciated. Sounds useful- thanks for sharing! That makes it look easy. I love that you are detailing this for beginners. Another useful post! Thank you so much for sharing. Thanks great advice. I'll check into it to help grow my blog. Oh what a great post - thank you so much for sharing, I know a few people who I will have to pass this onto. 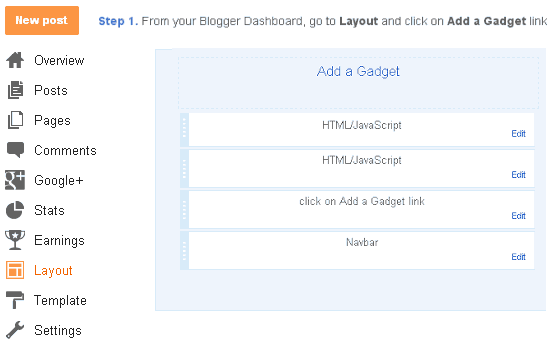 Very easy tutorial on how to add this to a Blogger platform blog. Thanks for the tutorial. I wish that I had known about your blog before I jumped to WP.